Your smartphone is a minor miracle, a pocket-sized computer that can fulfill almost every whim. But none of its superpowers matter a bit if it runs out of juice. With removable batteries becoming more and more rare, you've got to take good care of the one you got. Fortunately, it's not to hard keep the lithium-ion powering your everything-machine happy if you follow a few simple rules. Obviously, the first rule for extending your battery life is not using up all your battery life playing Candy Crush and walking around with Wi-Fi and GPS enabled when you're not using either and really, really need your phone to last that extra hour. But aside from that, there are some basic rules for care and charging, and they're the simplest baseline for a healthy battery. You may vaguely recall hearing something about rechargeable batteries and the "memory effect." You know, that if you don't "teach" your rechargeable batteries their full potential by taking them from totally full to totally empty, they'll "forget" part of their capacity. Well forget all that. Right now. It does not apply to your phone. To get the most out of a lithium-ion battery, you should try to keep it north of 50 percent as much as possible. For the most part, going from all the way full to all the way empty won't help; in fact, it'll do a little damage if you do it too often. That said, it's smart to do one full discharge about once a month for "calibration," but don't do it all the time. Running the whole gamut on a regular basis won't make your battery explode or anything, but it will shorten its lifespan. But! You don't want to have battery charging constantly either; lithium-ion batteries can get overheated. Luckily for you, your charger is smart enough to help with this, and will cut your phone off for a spell once it's full. And to complicate matters a even further, your battery doesn't particularly like being all the way full either. In fact, your battery will behave the best if you take it off the charge before it hits 100 percent, and leaving it plugged when it's already full is going to cause a little degradation. It's easy to worry about bad charging habits thanks to the training we've had from old rechargeable batteries, but lithium-ion batteries have a worse enemy than sub-optimal charging: Heat. 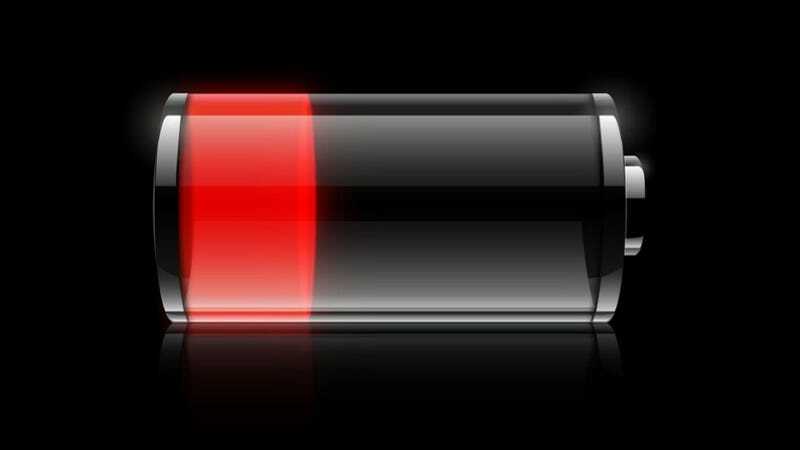 Your smartphone's battery will degrade much, much faster when it's hot, regardless of whether it's being used or just sitting around doing nothing. At an average temperature of 32 degrees fahrenheit, a lithium-ion battery will lose six percent of its maximum capacity per year. At 77 degrees, that number jumps to 20 percent, and at 104 degrees it's a whopping 35. Sure, it's not exactly practical (or sane) to keep your phone in the fridge, but it's worth going out of your way to prevent long stays in hot cars and the like. Wireless charging can be incredibly convenient if your phone can do it, but it's not without its disadvantages. The inductive, wireless chargers out there today have this nasty habit of generating a fair bit of waste heat. And while wasted energy is just a bummer in general, that heat will also toast your battery in the process. That's no bueno. It's a little less convenient, but standard plug-in charging is going to keep your battery in better shape, especially if you're some place warm to begin with. If you're going to be shelving any lithium-ion battery for a long time, try to leave it with at least 40 percent battery power to tide it over. Lithium-ion batteries don't hemorrhage power when their not in use, but they'll lose maybe five to ten percent of their charge each month. And when lithium-ion batteries get too low—like, literally zero percent—they get seriously unstable, and dangerous to charge. To prevent explosion-type disasters when you go to charge one that's been sitting around for a month or two, lithium-ion batteries have built-in self-destruct circuits that will disable (read: destroy) the battery for good, if it reaches rock bottom. And sure, that'll save you from a face full of battery-acid, but it'll also leave you short one battery. A lot of newer phones support some sort of "fast charging" feature. These suckers will let you juice your phone up from zero to around half-full in just about a half hour. It's a life-saver for when you've only got a few minutes to spare, but it's also not great for you battery. Surprise! Lithium-ion batteries live their longest lives when charged and discharged at low, consistent speeds. Fast charging is not that. But since fast charging is only for the beginning of a charge cycle—and phones and their chargers are smart enough to only apply the extra voltage when it's useful—the damage isn't too bad. Still, if you're not in a hurry, it's probably better for your battery to apply a slow and steady charge through a low-voltage charger. It's easy to get protective of your battery, but it's also easy to get lazy. And that's fine, because as long as you're not a complete idiot, you'll be OK. Typically, a lithium-ion battery lasts for three to five years, and chances are you're going to want to swap out your gadgets sometime in that window anyway. The slight damage of a technically bad idea—like leaving your phone plugged in all night every night, or using fast charging when you need it—is worth the convenience. Still, it's pretty easy to keep your battery reasonably healthy just by avoiding particularly egregious torture like letting your phone discharge from full to zero every single day, or leaving it in a hot car all the time. And the next time you make it back home with power to spare, you'll thank yourself for it.